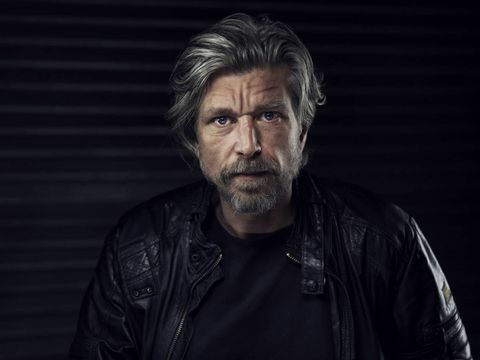 With the memory of his six-volume, 3,000-page autobiographical fiction cycle, My Struggle, not yet faded from readers' memories – hell, the last book hasn't even been translated into English yet – Karl Ove Knausgaard is already off and on to the next thing. For fans of the Norwegian's mammoth breakout work, there is much that is recognizable in Autumn, the first in a new quartet of seasonally themed titles. His sharp eye for detail, for one thing. His willingness to suddenly turn the narrative to pursue new and uncomfortable lines of thought, for another. But mostly, what feels most familiar is Knausgaard's reliable internal muse: No matter what he is ostensibly describing, what he's really talking about is himself. That's not necessarily a bad thing. The most thrilling passages in My Struggle – the ones that transformed Knausgaard into an international literary star – are all marinated in the inner workings of his psyche. And just as those books revolve around the relationships the writer has had with various family members, so, too, does Autumn, whose three sections (one for each month) are anchored by letters to Knausgaard's unborn daughter. These letters are also a useful place to state his project's thesis. "I want to show you the world, as it is, all around us, all the time," he writes in Ingvild Burkey's translation. "Only by doing so will I myself be able to glimpse it." What follows is an unusual mixture of digression, reflection, thought experiment, diary entry and writing prompt, along with detailed, almost technical descriptions of whatever places and objects Knausgaard can see from his home office. Each is no more than two or three pages long, and many will stay with you about as long as it takes to read the next one. Spurred partly by the runaway success of My Struggle in his native country, Knausgaard and his family now live in a small town in southern Sweden. In the first letter in Autumn, he describes where his writing shed is located in relation to the family home, and that physical setting is a helpful lens through which to read the rest of the book. Later, we see him write about churches, inspired by the spires he can see in the distance; about twilight, which, he notes, is falling outside "as I write this"; and about chimneys, of which his own house across the lawn has two. This image of Knausgaard the listless, describing whatever he can see while spinning around in his chair, is never stronger than when he writes about poking a dead wasp: "[I]t takes no more than a slight pressure of the fingers for the shell to crack and the soft innards to ooze out." It's hard to square Knausgaard's stated project of capturing the world on paper as a gift to his fourth child with the realities of what is actually on the page. He does write plainly and movingly about his current duties as a father, and occasionally touches on pregnancy and life with an infant: "the lukewarm milk that fills its tummy, sleep which overcomes it so deliciously every few hours." But more often than not, the entries in Autumn are driven by whatever random painting or bird popped into Knausgaard's mind on his way to the shed than a true sensory or reportorial urge. There are some powerful sections. My Struggle hit its peak when it superimposed the current, older version of Knausgaard over his more youthful self and let the two films run together on the same screen. There's a similar feeling in an Autumn section in which he describes his lifelong obsession with chewing huge wads of Juicy Fruit gum – an ever-scarcer product in Scandinavia, apparently. He also discusses an artillery range he passes while driving his kids to school. It inspires him to reflect on war itself, which in his part of the world is a largely abstract concept. Why, then, does a boy in the neighbourhood love pretending he's a soldier? "It might be," Knausgaard writes, "because war games are the only thing he knows of that deflect aggression, that don't shut it in but allow it to flow out, not freely and unrestrainedly and causing anxiety, but along definite channels and corridors in his world." War, he concludes, taps into not just humanity's irrational side, but its rational one, too – it is "both the simple shape of the arrowhead and the complicated life that it annihilates." Mostly, however, this is Knausgaard operating on a significantly lower gear. You get the sense he's ready for another big project, but hasn't yet settled on either the form or the content. Anyone who's already in the tank for the man will find enough here to be charmed by. Otherwise, I'm not sure the careful descriptions of rotary phones, or a labia, or peeing in public (which Knausgaard is against, unless he's the one doing it), are enough to sustain the concept, the majority of which is still, after all, over the horizon. Michael Hingston is author of the novel The Dilettantes, editor of the Short Story Advent Calendar and the author of a forthcoming book about Calvin and Hobbes. He lives in Edmonton.